BALL SAUCE IS BACK !!! The police bike stickers are now available for only $12.95. 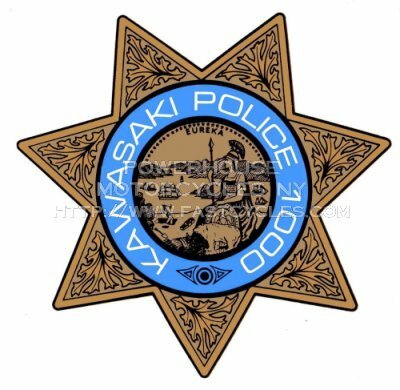 They are approximately 5 1/2" in diameter, and are copies of the original California Highway Patrol decals - except that "highway patrol" has been taken off and replaced with "Kawasaki Police 1000" . . . they are clear-coated to be fuel resistant, and will not fade. Replace your current pistons with quality pistons from Germany! ARP 10mm Stud Kits - IN STOCK! New!! Dynojet Multi-Function Hub - IN STOCK! All products sold by Powerhouse Motorcycles are intended for off-road or racing use only, and as such, no warranty is expressed or implied.